E ngā uri o Tahu Potiki – naia te mihi, naia te owha. When I decided to stand for election as Kaiwhakahaere one of the key things I wanted to do was to take time to listen to whānau and hear your views on how we do things at Te Rūnanga. There is never a shortage of whānau keen to share their perspective on a whole range of topics and I’m always keen to listen. 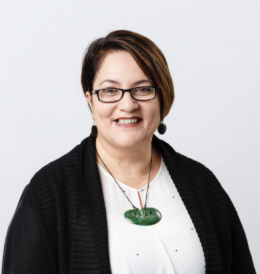 Last year Te Rūnanga resolved to take a look at our formal decision making processes on a wide range of topics and the way we communicate these to whānau. To help us understand your views, we developed a survey focused on our governance (the Form and Function Review) and we appreciate the many whānau who have taken the opportunity to share their thoughts on this topic. At the request of whānau we have extended the time for responses to 31 August 2018. It will only take a few minutes of your time. If you have any questions or concerns, please contact our team on 0800 KAI TAHU (+64 3 366 4344) or email [email protected]. Kia ora mai rā me ngā mihi o te wā e hoa mā! You can also talk to your Papatipu Rūnanga Representative or Alternate if you want more information. We will respect, foster and maintain important relationships within the organisation, within the iwi and within the community. We will pay respect to each other, to iwi members and to all others in accordance with our tikanga (customs). We will pursue knowledge and ideas that will strengthen and grow Ngāi Tahu and our community. We will work actively to protect the people, environment, knowledge, culture, language and resources important to Ngāi Tahu for future generations. We will strive to ensure that the tikanga of Ngāi Tahu is actioned and acknowledged in all of our outcomes. We will strive to maintain a high degree of personal integrity and ethical behaviour in all actions and decisions we make.